Music Biz 2018 climaxed on a high note—or, more accurately, three high notes—Thursday in Nashville on the confab’s fourth and final session. 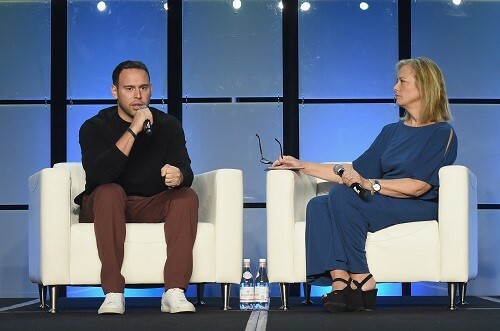 Scooter Braun focused on the need for gun control during the Keynote Interview, as the Harry Chapin Memorial Humanitarian Award recipient engaged in a lively conversation with activist/commentator Hilary Rosen. Nile Rodgers emotionally recounted his career as he accepted the Chairman’s Award for Sustained Creative Achievement. 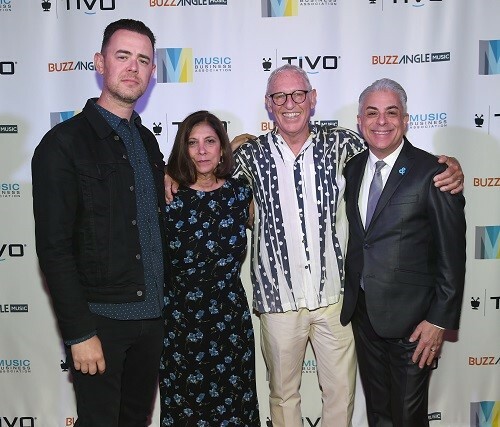 And Colin Hanks, director of the acclaimed Tower Records documentary All Things Must Pass, inducted Russ Solomon as the inaugural member of the Music Business Hall of Fame, with Russ’ widow Patti and son Michael alongside him. Calling for “serious, serious background checks for guns,” Braun urged those in the audience to “be on the right side of history.” A tearful Rodgers received a standing ovation as he described the difficulties of getting classic recordings like Chic’s “Le Freak” and “I Want Your Love” released by his label. And Music Biz topper Jim Donio pointed out that Solomon was made aware of the honor he'd be receiving before he passed away in March. Day four also featured a pair of panels: Trendspotting: The Power of Queer Storytelling in Song, co-organized by GLAAD, and The Year of Gen Z: Insights From the Front Line With Today’s Youth Consumer.